Our last look at a pre-water-cooled case from Deepcool came in the form of the Genome II a couple of years' ago. There, a somewhat mediocre case was paired with a funky AIO liquid cooler with its decent performance netting it an award. This time, Deepcool appears to have improved both case and cooling system with the Gamer Storm New Ark 90 being a much larger, more premium-feeling chassis. Gone are the somewhat unsightly gouges in the front panel and dated side window and in their place is a clean, two-part front panel with the larger part covered in a sheet of tempered glass sitting adjacent to a long reservoir plus tempered glass side panel. 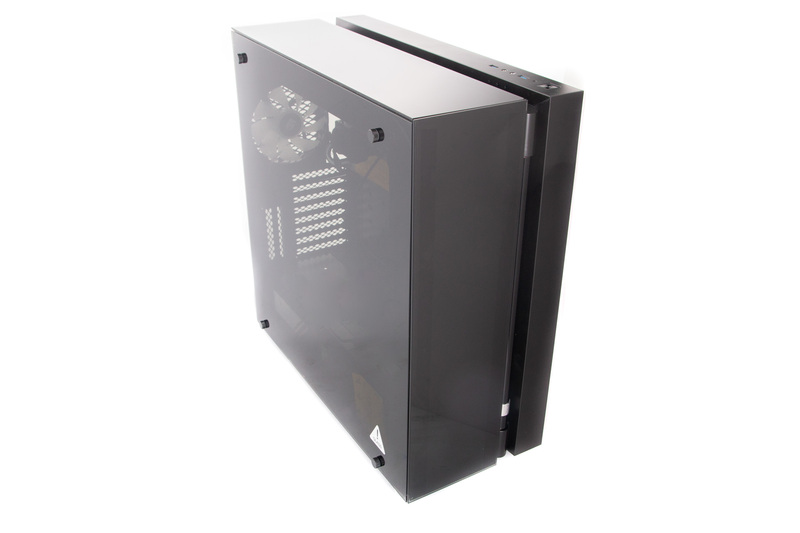 It's a great-looking case and its sizeable dimensions give it scope for E-ATX motherboards, too. The side panel secures using the standard method of four thumbscrews, but we found the rubber mounts for these had a habit of falling off. 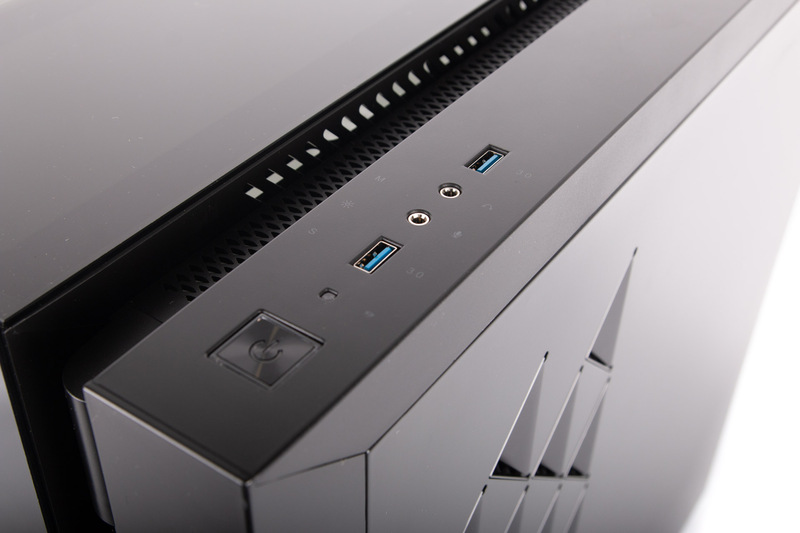 The front panel is located on the top of the case and offers both power and reset buttons plus USB 3.0 ports and audio mini-jacks. In addition, there's a controller for the integrated lighting system for the fans and reservoir, which is set over the edge of these ports above the mesh in the roof. This can control the brightness, effect mode and speed of the modes. The far panel is steel rather than glass, but Deepcool has attempted to liven things up here with a series of perforated triangular grilles that allow air from the side-mounted radiator inside to escape. However, these are extremely small and it's fairly obvious that they'll be hindering airflow compared to a mesh here. Finally, while the PSU sports a dust filter, there's nothing included for the front of the case and ventilation isn't great here, either, with just a few small holes cut into the larger of the two front plastic fascia. This former raises eyebrows with any case costing over £20 these days never mind ten times that much.